The formulations are usually small, white and slightly oblong pills taken orally. The drug acts on areas in the brain having to do with the sleep/wake mechanism. It increases alertness in sleepy individuals, but probably not to normal alertness levels. Modafinil is rapidly absorbed the body and it is at its most effective within two hours of ingestion. Modafinil affects the brain's histamine, orexin, and dopamine systems. 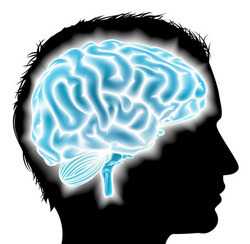 Recent research indicates that modafinil works in the brain's dopamine system. Two proteins that are affected by dopamine are essential for the drug's activity, but scientists don't know if dopamine is the drug's target or just a link in a chemical cascade in the brain that modafinil also affects. Two proteins that are affected by dopamine are essential for the drug's activity, but scientists don't know if dopamine is the drug's target or just a link in a chemical cascade in the brain that modafinil also affects. The orexin system appears to be important in people staying awake. (Narcoleptics have damaged orexin-producing cells.) However, when scientists tried modafinil on mice whose brains had been altered to damaged the orexin center, they found modafinil still worked. So the efficacy does not appear to be primarily based on orexin action. Unlike other stimulants, low doses of Modafinil enhance the ability of the brain's prefrontal cortex to process informaton while slowing down the amygdala's activity to threatening stimuli, a process thought to cause anxiety in users of amphetamines. The relative low side effect profile is part of what made Modafinil so exciting when it was introduced..
Modafinil is only approved for use by adults and children over the age of 16. It should only be taken by those suffering from EDS associated with narcolepsy, OSAHS or SWSD. Modafinil should only be taken under the direction of a board-certified sleep specialist. To find a sleep specialist in your area, visit the Web site of the American Board of Sleep Medicine at http://www.absm.org/diplomates/listing.htm. How does sleepiness affect a person? Sleepiness significantly increases the potential for compromised attention, impaired cognition, lengthened reaction time, and negative mood. The medical community believes that sleepiness should be recognized as a serious symptom and problem, and can be a risk factor and precursor to accident, injury, destruction and death. Two-thirds of all Americans don’t get enough sleep, according to the NSF. For those with critical attention responsibilities, including truck drivers and people who work night shifts on a permanent or rotating basis, sleepiness can make them more prone to accidents. In contrast, optimal alertness is a fundamental requirement for successful and safe functioning in our society. A reduction in sleepiness has the potential to reduce accidents and injuries believed to be associated with this disorder. EDS is a condition in which a person feels very sleepy during the day and has a hard time staying awake, even after getting enough sleep the previous night. EDS can interfere significantly with a person's ability to concentrate and perform daily tasks and routines. People with EDS frequently nap or fall asleep in situations where they need or want to be awake and alert. This can be particularly dangerous when the subject needs to drive a car or operate other hazardous machinery. Excessive sleepiness is often misinterpreted as laziness or a lack of a capacity to learn. Excessive sleepiness can also have a negative impact on a person’s relationships with his or her family, coworkers, and friends. Sleep experts worldwide use the Epworth Sleepiness Scale (ESS) to measure general levels of daytime sleepiness. You should discuss your test results with your doctor. Narcolepsy - a chronic neurological disorder that affects the region of the central nervous system that regulates sleep and wakefulness. Obstructive sleep apnea/hypopnea syndrome (OSAHS) - Experienced by sufferers as a lack of airflow throughout the night. This leads to frequent brief arousals. Is Modafinil ever prescribed for conditions other than the ones the drug is FDA-approved for? Yes. While Modafinil is FDA-approved only for narcolepsy, OSAHS and SWSD, physicians sometimes prescribe it for patients who do not suffer from one of these conditions. More on off-label modafinil use. What are some of the reasons why Modafinil should not be prescribed solely to relieve fatigue? Some doctors worry that people taking this drug to combat fatigue might go undiagnosed for underlying diseases such as diabetes or sleep apnea that cause fatigue. Doctors are allowed to prescribe the medicine for pediatric use, and apparently some are doing so. However, the FDA never approved modafinil for use in children and we are unaware of studies of the effect on developing brains. Many observers worry about the long-run effect of stimulants on children. Are there ethical problems for Modafinil as a performance-enhancer? Cognitive enhancement of healthy people is a controversial topic. There are ethical questions about the use of modafinil strictly for increasing performance in people who have no medical condition. Further, the mechanism of modafinil inside the body is not completely understood, so some worry about the effects of long-term use. Can you use Modafinil as a study drug?